Police have released video footage in their investigation into a sexual assault in Mississauga. 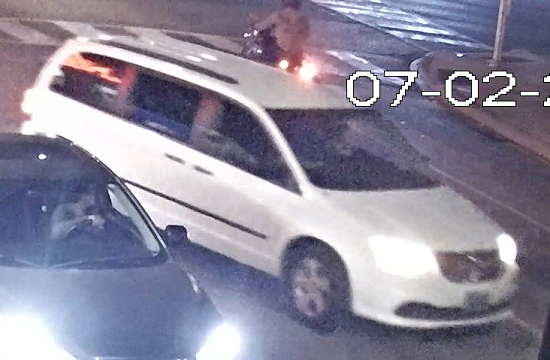 The incident happened on Monday, July 2, at approximately 2:50 a.m.
Police say the male suspect offered the female victim a ride home in the area of Lakeshore Road East and Hurontario Street. Instead of driving the victim home, the suspect allegedly drove to a parking lot where he sexually assaulted the victim. The suspect is described as a male between 30 and 40 years old, between 5’7 and 5’10, with short, dark black hair and wearing a blue t-shirt. He was driving a white Dodge mini-van, police say. Anyone with information is asked to call the the Special Victims Unit at 905-453-2121, ext. 3460. Anonymous information may also be submitted by calling Peel Crime Stoppers at 1-800-222-TIPS (8477) or by visiting www.peelcrimestoppers.ca.